Like I said up there. Sorry to interrupt the regular comics, but this is your chance to help Kitty out! Fill out this survey, and let us know what you want to do! 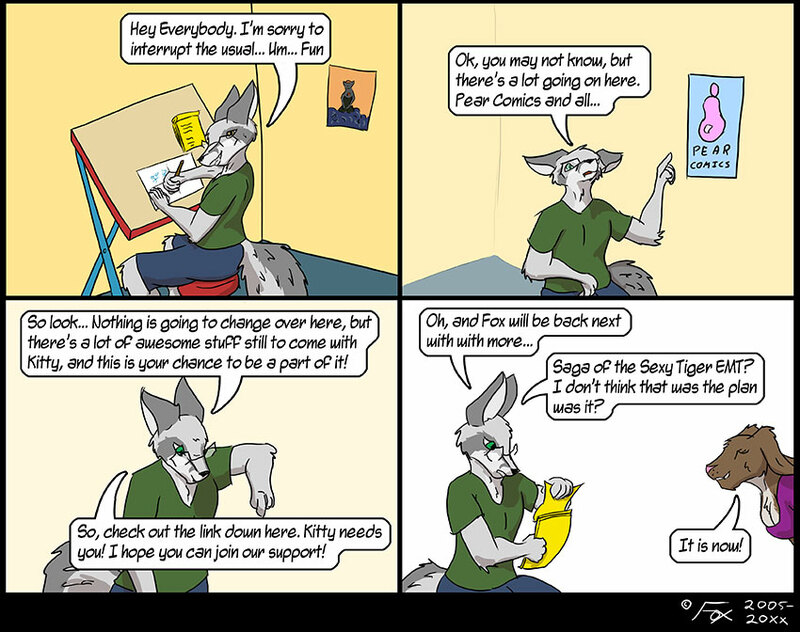 If you want a more complete idea of what we’re doing, check out the Pear Comics news post here.